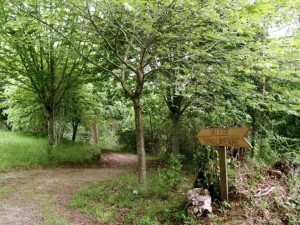 The arboretum was created during the 1990s by the then director of the Huelgoat retirement home (EHPAD), Jean Merret, on a former farm at Poerop, Huelgoat, left to the commune in a legacy. Wishing to concentrate on its main objective, the care of elderly and dependent persons, the EHPAD has leased the park since 2012 to independent professionals, with the support of the association Les Amis des Arbres du Monde. EHPAD now wishes to give up ownership of the park and, in view of the budget since the park reopened in 2012, the management of EHPAD is in favour of the projected purchase by a “Societé Civile Immobilière” (SCI) a non-trading property company. A collective purchase would allow the different activities and links of the various groups with an interest in the arboretum – EHPAD, the mairie, the local producers’ collective, artists, and others – to continue. A private sale, on the other hand, would diminish the potential of this exceptional site, and perhaps lead to the closure of the park to the public. The SCI of Poerop would buy the property, with its buildings and infrastructure, for about 150,000€, before the end of 2017. The property would then rent to one or several selected candidates. The total of the purchase, including fees, plus a reserve for maintaining the property, and new investments (water, electricity etc) would represent the capital of the SCI. An associate may hold one or several shares depending on the sum he or she wishes to invest. Each share has a value of 100€, and an associate has one vote regardless of the number of shares. Anyone wishing to participate without becoming a shareholder can contribute to an association which will buy shares with the donations it receives. 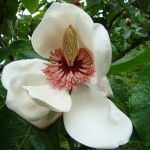 Participate in developing one of the richest collections of trees and shrubs in France – 3600 species from 4 continents. Reinforce the work of Axelle and Malo, the arboretum’s current tenants, in continuing to manage the arboretum and to develop the production of rare plants from the four corners of the world. Simply complete an application form, add proof of identity and address, and make your payment. A first annual general meeting is planned for the end of 2017, to validate the statutes and elect the officers. They will register the SCI with the RCS (Régistre du commerce et des societies) which will ratify the existence of this SCI. Why an SCI (non-trading property company)? EHPAD (Huelgoat’s old people’s care home) which currently owns the arboretum wishes to sell it. An SCI would permit a collective to buy it, and continue to let it out to professionals; thus preserving, and continuing to maintain and keep the park open to the public . (=partnership share, share capital). A partnership share is a title deed based on the capital of a company – the total of which make up the share capital of that company, the resources available to the SCI. This sum finances the purchase of property, along with equipment, administration, and finance. Is it possible to support this venture without becoming a share-holder? Yes. 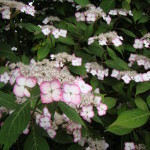 You can make a donation to the association ‘Rubus et Idesia’, which will buy shares in the SCI with the money received in donations, and will become itself a share-holder. No matter how many shares it holds, it will have one vote in the decision-making processes of the SCI. Each shareholder’s vote (whether an individual (personne physique), or a group (personne morale) – for example an association – will carry the same weight in decision-making. The advantages of becoming a shareholder? The rental income will be limited so as to support the development of the arboretum for the common good. By buying a share or shares, you support and participate in the economic, social, educational and artistic objectives of the arboretum, Les Arbres du Monde au Huelgoat. The property does not lose its value, the costs are minimal and stable (land tax and insurance). Even in the case of unpaid rent, the share capital will be minimally affected in the time taken to resolve the problem. In case of need, it is possible to redeem your shares. The majority of those involved are volunteers, and the cost of setting up the SVI are small (less than 250€). To assemble a sufficient number of share holders we need to self-fund our communications and administration. Use of contributions towards costs will be decided collectively during the annual meeting.